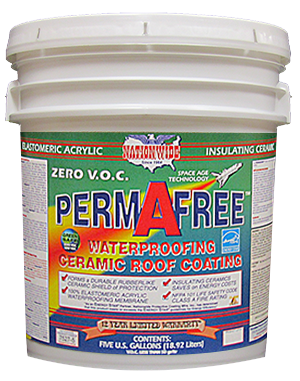 PERMAFREE™ is a Zero V.O.C., matte finish, bright white, ELASTOMERIC acrylic, insulative and reflective ceramic, waterproofing protective roof coating. 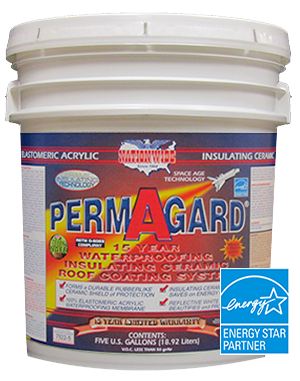 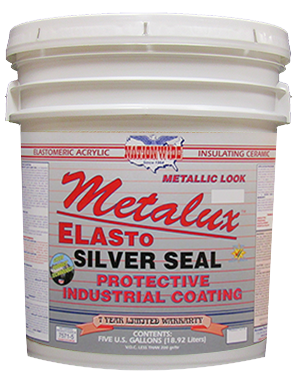 It is a water-based, high build formula that possesses waterproofing, insulating and soundproofing properties that beautifies, protects and extends the life of most any sloped roofing surface. 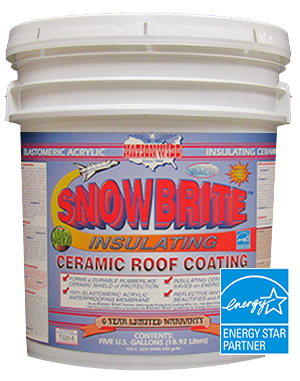 Forms a thick rubber like ceramic shield of protection that expands and contracts with varying hot and cold temperatures, plus excellent resistance to thermal shock. 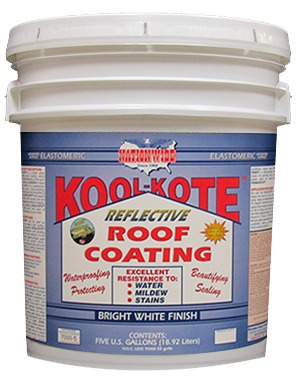 SLOPED ROOFS ONLY.